Throughout this season, there have been two Borussia Dortmunds. There has been the confused, stilted, inefficient one. Then there has been the exhilarating, ruthless, unstoppable one. Benfica have now met both. 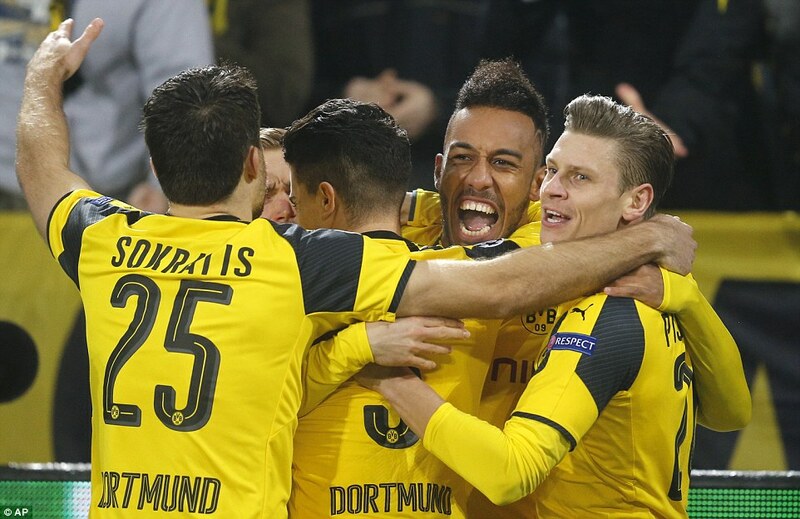 Goals from Pierre-Emerick Aubameyang and Christian Pulisic saw Dortmund overturn a 1-0 deficit from the first leg and waltz into the Champions League quarter-finals against Benfica on Wednesday night. 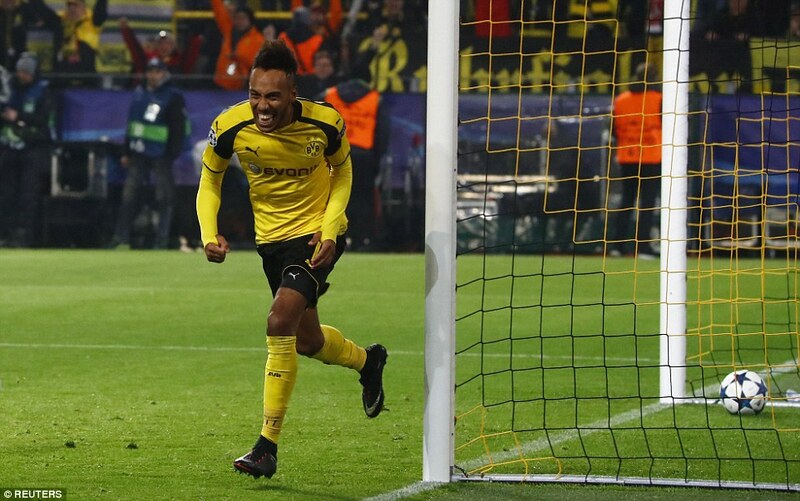 Aubameyang was back to his predatory best, poaching three goals from close range. US international Pulisic provided Dortmund’s second with a delightful chip over the goalkeeper. 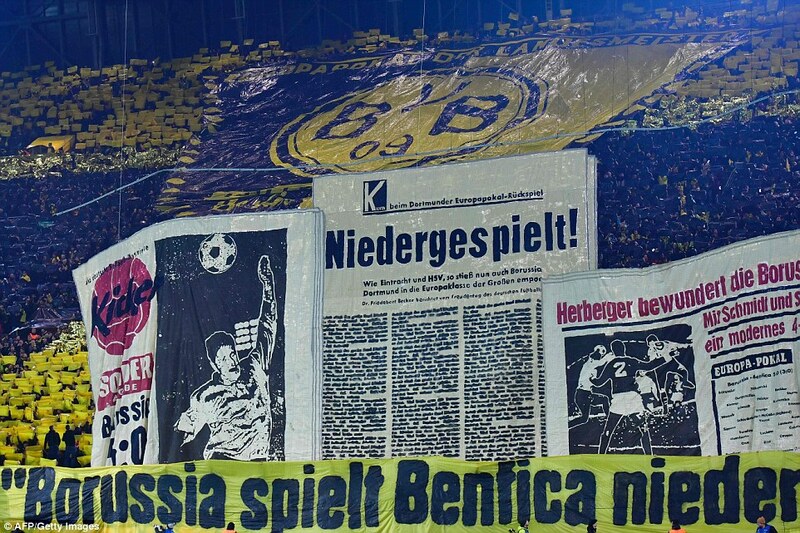 Dominant in the opening exchanges, Dortmund had to fight against a resilient Benfica outfit for much of the game, but they turned on the style in the second half. 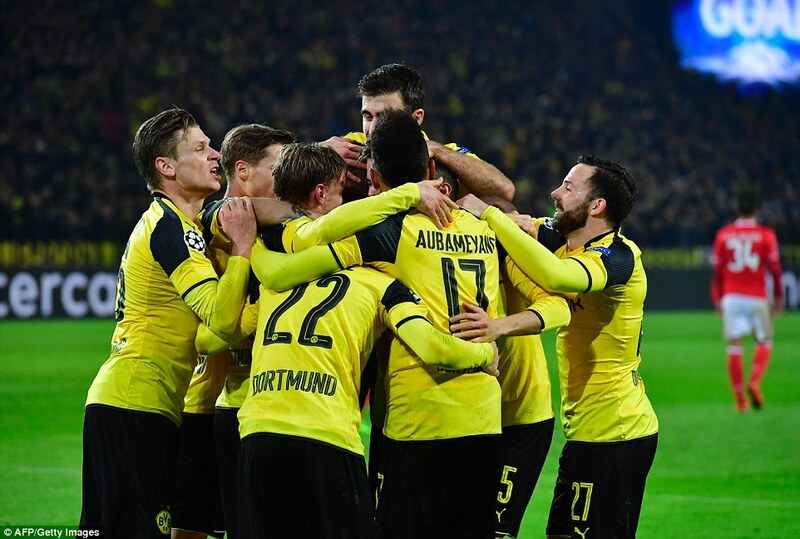 This was the Borussia Dortmund which doesn’t just beat teams, it beats them with a swagger. After an unhappy performance in the first leg, Dortmund had resdicovered that swagger with three Bundesliga wins in a row ahead of this game. The only dampener in the build-up was the latest injury to star attacker Marco Reus. With Reus absent, some had questioned whether youngster Ousmane Dembele would be able to step up to the big occasion. He delivered an answer in the opening ten minutes, leading the charge as Dortmund terrorised the Benfica defence in the opening encounters. The Belgian’s moment came after just four minutes. After forcing a corner with a sharp attack down the left, Dembele’s delivery was flicked on by Pulisic and Aubameyang headed the ball in at the far post. This was the start that Thomas Tuchel had imagined when he demanded his team forget the result of the first leg. Dortmund were enjoying themselves, finding space on the wings and behind the Benfica back line. With 20 minutes gone, Dortmund were purring. Blunt on the counter-attack, it wasn’t until the 24th minute that Benfica began to build any pressure themselves, Franco Cervi finding space in the box but hitting a weak shot straight at Burki. The visitors got another chance just after the half hour mark after Gonzalo Castro gave away a free-kick with a dangerous lunge on Almeida. Castro escaped with a yellow card, and Dortmund with a weak Luisao header. But the home side had been unsettled. 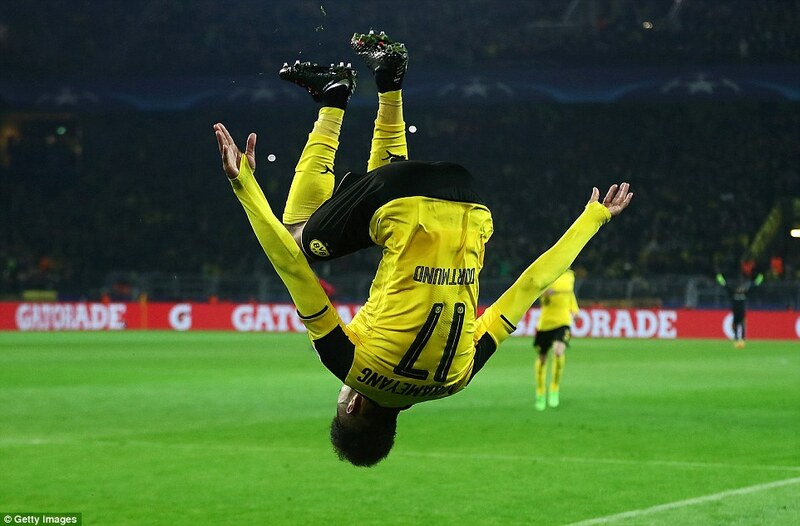 With a determined, scrappy approach, the visitors had blunted Dortmund’s early swagger. Dembele was the next to see yellow, Martin Atkinson apparently punishing him for dissent after a soft challenge on Eliseu. As Almeida and Pizzi took control of the midfield scraps, the home crowd began to turn on Atkinson and the Benfica players, snarling even more when the English official ignored a penalty appeal just before half time. Both Cervi and Aubameyang had chances at either end just after the break. With the game opening up, the Gabonese striker was twice denied from close range by Ederson, the linesman’s flag going up on both occasions. It was Pulisic who finally broke through just before the hour mark. 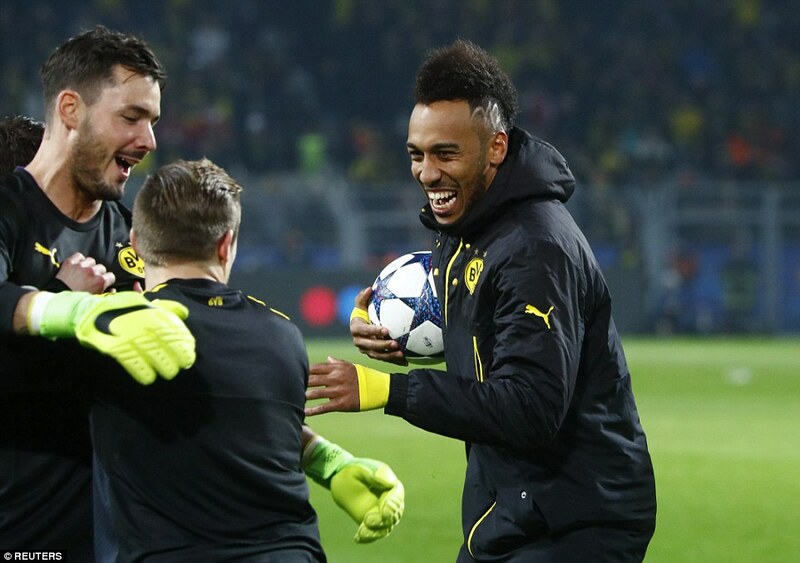 After Ederson had denied Aubameyang for a third time, a fine through ball from Piszczek found the American in the box, and he daintily lobbed the goalkeeper to double the lead. The swagger was back. Aubameyang struck again moments later, slotting in a Marcel Schmelzer cross to make it 3-0. Five minutes later, Castro could have made it four as the scent of blood wafted up Dortmund nostrils. 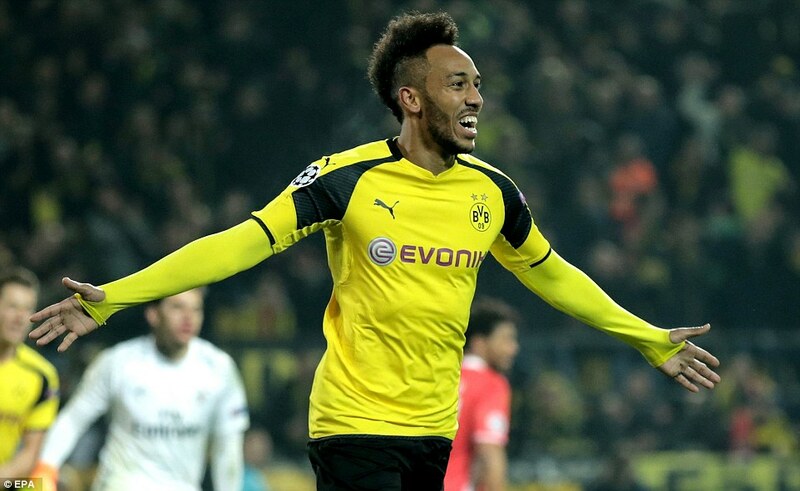 Aubameyang would be replaced by Andre Schurrle for the last few minutes, but not before he had completed his hat-trick, picking up a low cross at the far post and bundling the ball elegantly into the net with his first touch. The hat-trick hero swaggered off the pitch. Given the choice between Dr Jekyll and Mr Hyde, he and his team had chosen well. They had won 4-0, and they were in the quarter finals.